On October 5, seventeen Soldier Mt. High School and Mt. View High School students attended the Shasta College Preview Day. They were accompanied by their teachers Jeff Earnest and Becky Mock and Administrative Secretary Shaun Davis. Shasta College Preview Day provides high school students who may be interested in attending Shasta Community College with information about academic programs, application, enrollment, tuition costs, and financial assistance. Altogether 450 students attended this year’s event at the college theatre. The FRJUSD students sat in the front row. Eva Jimenez, Associate Vice President of Economic and Workforce Development acted as presenter for the program. 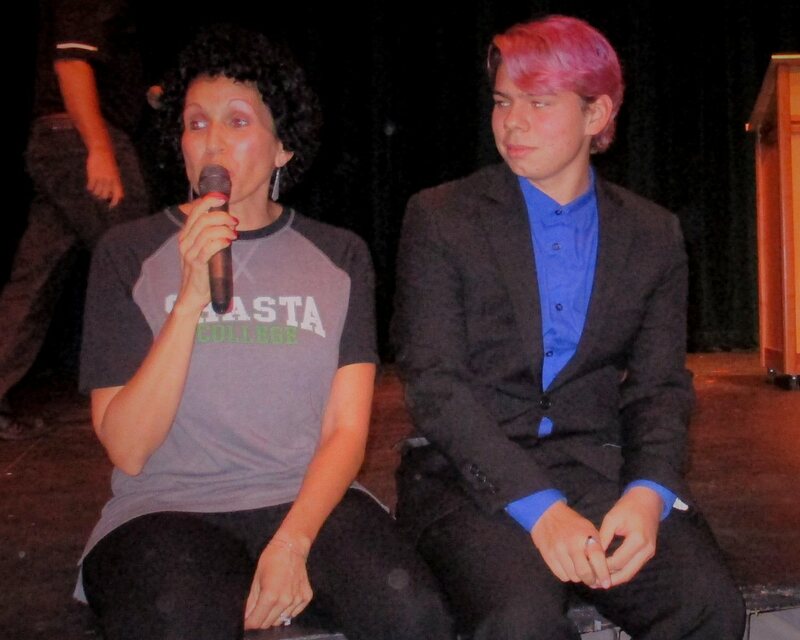 She encouraged audience participation and 3 FRJUSD students willingly participated. Many of the students had never been to Shasta College. Some had not thought about the possibility of attending college. Students learned about the “Shasta College Promise” program which provides free tuition for the first year for first-time, full-time students. They also learned about a Shasta Promise Program that assists students who previously may not have been able to attend school for financial reasons.